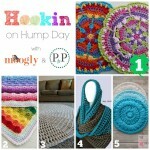 Hookin On Hump Day #123: Link Party for the Yarny Arts! Can you believe it? Time for another round of our link party, HOHD! 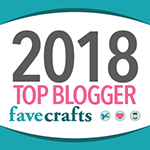 Thank you for joining me and my fabulous co-host Kara from Petals to Picots for another round of the top crochet and knitting links and patterns. We share your best projects twice a month, from the posts you submit. 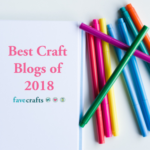 Hookin on Hump Day is hosted here on Moogly, as well as on Petals to Picots – here are the projects that your clicks and I put together this round! 1. MOST CLICKED LINK! 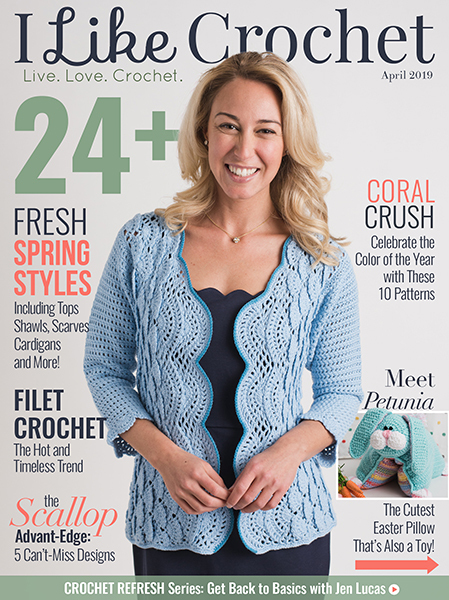 Crochet Summer Air Cardi Vest from Maz Kwok Designs – This cuff-sleeved cardigan is made with sport weight yarn and is perfect for summer … FREE crochet pattern! 2. Mandala from Howling at the Moon – A bright and colorful mandala … includes link to FREE crochet pattern! 3. 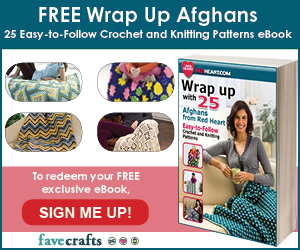 Join Crochet Motifs with One Seam from Crochet is the Way – Learn this seamless joining technique for your square or rectangular projects … FREE diagram tutorial! 4. “Suzette” Bag Pattern for Beginners from Make and Do Crew – Requiring only single and double crochet and a very simple construction, this FREE crochet bag pattern is perfect for beginners! 5. Catona “Paper” Chain from Felted Button – A fresh spin on the paper chain made with colorful crochet strips and buttons … FREE crochet pattern too! 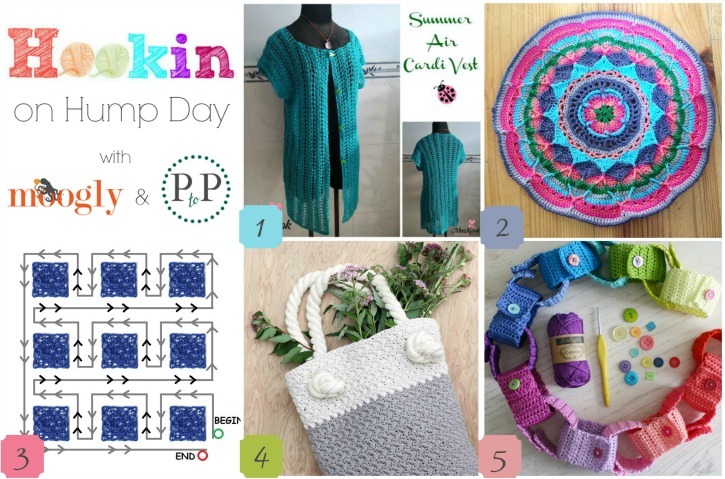 Hookin On Hump Day #92: Link Party for the Yarny Arts! 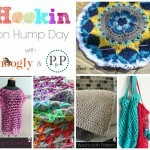 Hookin On Hump Day #94: Link Party for the Yarny Arts! we so love this party – wish it was every day 🙂 Thanks for hookin’ us all up! thanks so much for participating millie! Just curious why you credit “Howling at the Moon” for that Mandala? because the pattern – DESIGN is from Dedri Uys – and the link provided leads us directly to Dedri’s site, “Look at What I Made” Shouldn’t the credit, then, be given to Dedri? since it’s HER design – and HER tutorial? I recognized it right away since I made the Sophie along with the CAL. and just Love Dedri and her designs! Seems a bit unfair to say that the Mandala is from Howling at the Moon, doesn’t it? She may well have hooked the one shown, but it’s not her design, right? Sorry – but I’m a stickler for giving credit to the right person…. 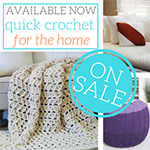 there’s a lot of “crochet piracy” out there – and I’ve seen sites claim credit for patterns that I KNOW originated somewhere else. the finished project is from howling at the moon, and she has every right to show it off – and she has properly credited and linked to dedri’s fantastic design. 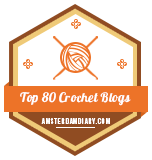 people make my designs and blog about them all the time, with links back, and i love it! we get to see another version of how the design can look, and all enjoy it together. i can assure you, if she had claimed to have designed it herself, or reprinted dedri’s written pattern, we never would have featured it, and would have deleted it from the link party as soon as we caught it. i totally appreciate that you are on guard about crochet piracy, but fortunately, this is not the same thing, in my opinion. Man, thank you so much for sharing my bag tutorial. I’m honored. And I’m so freaking excited to come across that tutorial on how to seam squares. I have been looking for something like this forever. Thank you, as always, for the inspiration Tamara! thank you so much jess- it’s a fantastic bag! Thank you very much for featuring my Mandala!! thank you for entering it – it’s gorgeous! 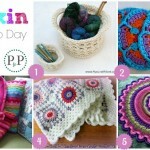 thank you so much for sharing it liz – and for linking back to the pattern within your post! Wow, thank you so much for featuring my tutorial! I’m already excited when Hookin on Hump Day comes around, and when I click the link and see my diagram featured, I’m now jumping up and down, like, “yay”! Thanks for hosting this great party! thank you so much for sharing it jenny! it’s great!